Looking for ideas to travel this winter, but want to visit somewhere interesting? 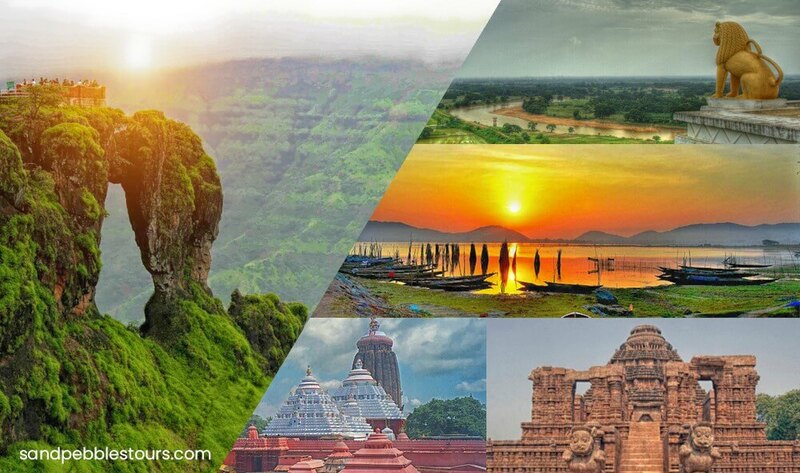 Sand Pebbles’ Winter Tour Odisha Package is all that you wish for. Termed as the Kashmir of Odisha, Daringbadi thick forest and numerous waterfalls will inspire nature lovers. Full of caves, creeks and hills Satkosia Tiger reserve is the best place for nature lovers. The scenic beauty along with gharials, wildlife and rare witness of endangered birds is something that nobody would wish to miss. Located in Kendrapara, Bhitarkanika is a natural habitat of wild animals including the crocodiles. For bird lovers, Mangalajodi is best the best place. Winter is the most desirable time to witness the migratory birds along with boating. Famous for Olive Ridley Turtles, the beach of Gahirmatha is the best site to witness the nature. Chilika Lake a home of thousands of migratory as well as local birds and dolphins at Satapada which is one of the best time to discover in winter. Winter is that time of the year, where most of the travellers set out on a journey. Winters in Odisha are spectacular. You shouldn’t miss this opportunity with Sand Pebbles’ Winter Tour Odisha, which’ll give you the best time you always wished for. The true splendour of the state shines in the season of pleasant climate. The vivacious cultures of Odisha come together creating a memorable kaleidoscope as festivals and fairs are organized at various locales Winter Tour Odisha offer you the best Odisha Tour Packages. Winters bring with them a feel-good spirit, and what good time can you have to get the Odisha Winter Special Package from our Odisha Tour Operators? Whether you’re travelling alone or with a companion, Sand Pebbles’ Winter Tour Odisha strives its best to give you a perfect Winter Tour. For nature lovers, Similipal, a National Park with it’s Tiger Reservoir, is a home for many rare species of trees and animals. Besides, it has 231 species of birds. This National Park is spread over 2750 sq. km. and has a number of waterfalls where any tourist would like to spend some quiet and relaxing time. In the district of Keonjhar, the rock shelter called Ravana Chhaya is worth seeing. In Sitabinji the wall paintings are magnificent. The waterfalls, Sanaghagara, Badaghagra and Khandadhar are rich tourist treasures of Keonjhar district. Whether you are a person who loves adventure or you are a person who just wants to have a relaxing Winter Vacation, Sand Pebbles’ Tour and Travels can be your best travel partner. So don’t wait before this winter gets over and book your Odisha Winter Special Packages now.